This kitchen cutlery sticker includes a fork, plate, knife and spoon and is a great design to add decoration to your kitchen wall. The unique design has a great colour of blue and perfect for those who have a love of food! The kitchen sticker can also be used in restaurants and other food places to add some decoration. 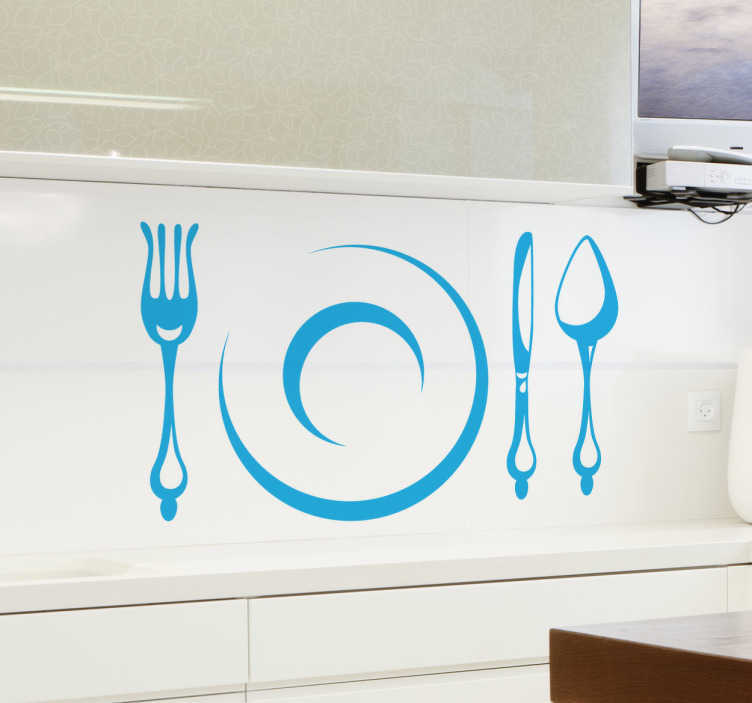 All of our kitchen decals are easy to apply and made from high quality, anti-bubble material.